We started the trend for treated charcoal over 30 years ago, we like to think ours is the best! Lumpwood charcoal selected in our FSC charcoal for quality and weight before the dipping process. The charcoal is then dipped into liquid wax, the resulting pickup helps the charcoal to light. It’s then packed into the individual inner bags for the Instant Light bags. Simply light one of the inner specially treated bags of charcoal provided using a long match or BBQ lighter and wait – no additional lighting agents are required. 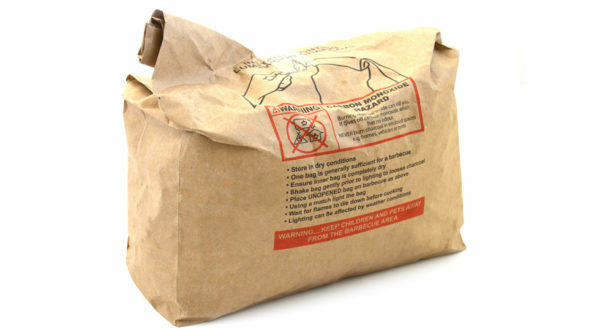 We have a wide range of bag sizes from a handy 500g to the bulk 15Kg. From lighting it takes 20 minutes to get ready to cook, then burns for at least 120 minutes. It’s quickly at cooking temperature, so ideal for those burgers and sausages. As it says on the bag, it’s Instant Light. Simply remove an inner bag plump & peel up the corners and light with a match – it’s that easy! Remove a bag from outer pack. Place on your barbecues cooking grill. 1.5kg bag is usually enough for an average family. Peel back the corners and light with a match or BBQ lighter. BUY AND TRY the best Instant Lighting Charcoal!